Roper St. Francis Healthcare is a 657-bed health system that includes more than 110 facilities and doctors’ offices in the South Carolina lowcountry, and is Charleston’s only private, not-for-profit hospital system with a specific focus on community outreach. 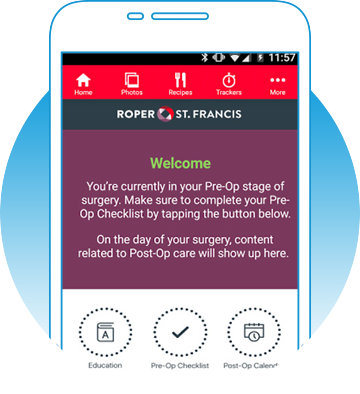 Roper’s RSF Bariatrics app provides pre-operative guidance to get patients to surgery and then post-op milestones to aid recovery. Studies have shown increased health literacy to be a significant predictor of health outcomes, with clinical research demonstrating an associated 12 percent reduction in 30-day readmissions with increased patient knowledge of their own care. Usage of Roper’s RSF Bariatrics app shows Education, the Bariatrics Overview, and the Post-op Calendar are the most used app features; all of which promote health literacy to improve patient outcomes as well as reducing same-day surgical cancellations and 30-day readmissions. 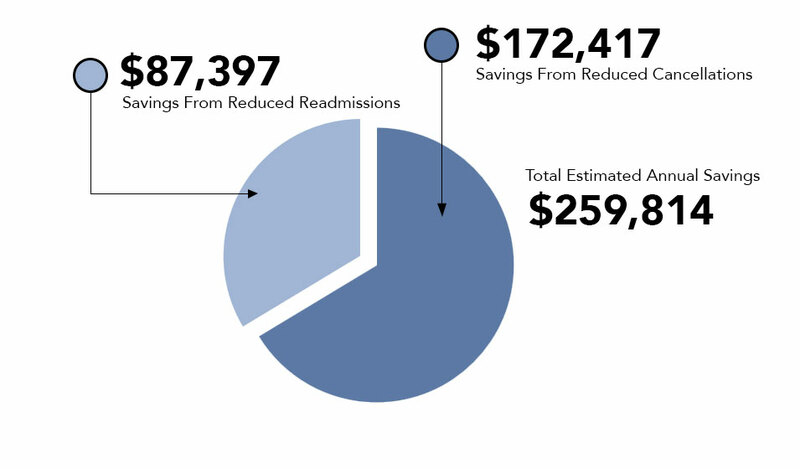 Utilizing a mobile app to Improve same-day cancellation rates by 39.4 percent and reduce 30-day readmissions by 6.8 percent saves Roper $172,425 and $87,397 respectively—a total current annual savings of over $259,000 for their growing program.